With the champions set to be crowned soon at Flamboro Speedway, every single point matters and that is showing in the racing fans are witnessing each weekend this month. When it came time for qualifying, Chad McGlynn set the fastest time at 16.128 seconds ahead of Kevin Gallant (16.226), Kevin Allen (16.447), Tim Tolton (16.511), and Jaeger McMaster (16.519). The feature would see lots of action from start to finish as the drivers battled hard throughout the 100 laps. There would be some incidents on-track, as well as some mechanical failures, but the fans couldn’t say that they weren’t entertained. Stu Robinson Jr., who started the event in third following the re-draw, would make his way to the front, scoring the feature victory. Kevin Allen finished second, and was crowned the 2018 Lucas Oil Sportsman Cup Series Champion. Brent Wheller finished third, followed by Tim Tolton, Jaeger McMaster, Joe Trafford, Mike Hrynuik Jr., and Kevin Trevellin. Bob Merrifield was the first driver to not finish the event, ranked 10th, followed by Bob Schultheiss, Doug Cathcart, Scott Laporte, Chad McGlynn, Alvin McNicol, Adam Martin, Barndon Huras, and Kevin Gallant. Adrian Stahle would score the victory in the first feature ahead of Brandon Aavarella, Steve Murdock, Ryan Fraser, Cassidy March, Mark Schultz, Dominique Smith, Cory Whittam, Dave Miller, Luc Munsie, Darren Dryden, and Bob Bailey, while Tim Kovacs failed to finish. Cory Whittam used his starting spot to his advantage to score the win in the second feature, while Stahle made his way through the field for a runner-up. Zavarella finished third, followed by Dryden, Murdock, Fraser, Munsie, Smith, March, Miller, Schultz, and Bailey, as Kovacs once again failed to finish. Entering the night ranked second in the standings, Jake Gilbert knew he had to gain as many point as he could on Shawn Taylor to keep his title hopes alive. Gilbert would gain the most points in the first feature by scoring the victory. Wayde Thorne finished second, followed by Rodney Rutherford, Erik Della Riva, Shawn Taylor, Kyle Istead, Rich Schwartzenburg, David Gallinger, Jonathan Ayrton, Kyle DaSilva, Mike Gilmour, Wendy Adams, Mike Hooper, and Mark Klotz. Unfortunately, mechanical issues sidelined Karl Sault, Tyler Lewis, and Kaitlyn Wallace. Shawn Taylor kept the title picture interesting by winning the second feature ahead of Thorne, Gilbert, Istead, Sault, Gallinger, Ayrton, Klotz, Adams, Gilmour, DaSilva, Hooper, and Della Riva. Rutherford and Schwartzenburg would fail to finish, while Lewis and Wallace failed to take the green flag. Ryan Hillar scored his third feature victory of the season ahead of Dylan Sharpe, Mark Thorne, Clinton Kerkhoff, Courtney Scott, Mark Dennis, Jared Bodnar, Leo Labarbera, Jeff Miller, Dale Lucas, Bill Rutherford, John Cote, Mark McCaig, Brad Prevett, and Brian Gamble. Jared Bodnar took advantage of his good starting position to snag his first victory of the season ahead of Kerkhoff, Labarbera, Sharpe, Hillar, Scott, McCaig, Rutherford, Cote, Dennis, Lucas, Gamble and Prevett. Miller failed to take the green flag, while Mark Thorne was disqualified for inappropriate behavior. Points leader Rodney Rutherford scored his fifth feature win of 2018 ahead of Cliff Hodgkinson, Dan Pettit, Dave Hodgkinson, and Mark Lucas, while Shannon Morris unfortunately failed to take the green flag. Mark Lucas, who entered the night ranked second in points, scored his sixth feature win of the season ahead of Rutherford, Dave Hodgkinson, Pettit, Cliff Hodgkinson, while Morris failed to take the green flag. Thanks to Mike Keiers for taking photos of the action. You can see those images at http://www.cableguyphotos.com/index.php/nggallery/page/6?page_id=72467. This Saturday night will be special as the 2018 Flamboro Speedway Champions will be crowned for all the track’s divisions. It’ll be a busy night with the Pro Late Models, Super Stocks, Mini Stocks, Pure Stocks, and Pro 4 Modifieds all in action, along with the Canadian Vintage Modifieds paying another visit this season. Don’t forget that we don’t end the year with championship night, though, as the big Frostoberfest weekend will follow on September 29 and 30, along with the Halloween Enduro on October 20. 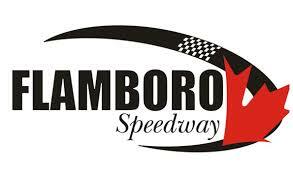 Gate details and admission prices, along with the full schedule for Flamboro Speedway this season can be found on the track’s website at http://www.flamborospeedway.ca. Tagged as: adrian stahle, cory whittam, flamboro speedway, jake gilbert, jared bodnar, kevin allen, Lucas Oil Sportsman Cup, Lucas Oil T.Q. Can-Am Midgets, mark lucas, Press Release, race report, rodney rutherford, ryan hillar, shawn taylor, stu robinson jr.